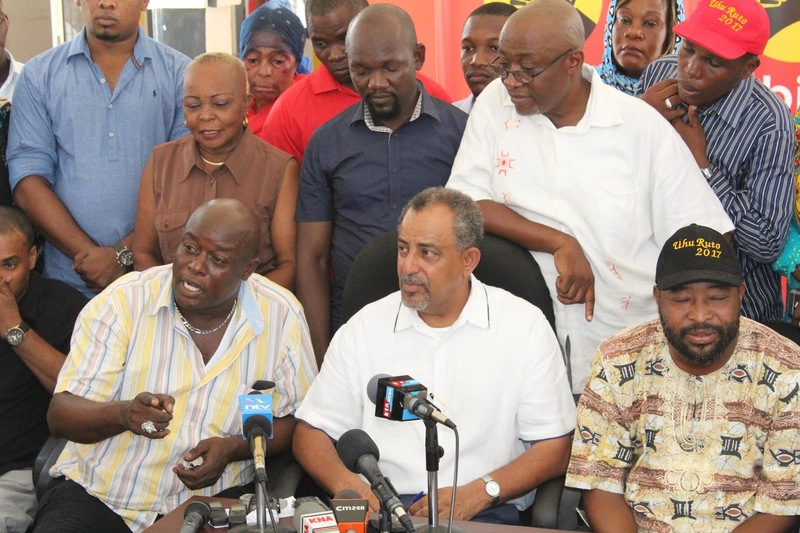 Mombasa Jubilee leader Shahbal final Agrees with Ali Joho over Naivasha Inland Port. - Bana Kenya News, Real African Network Tubanane. Home featured Mombasa Mombasa Jubilee leader Shahbal final Agrees with Ali Joho over Naivasha Inland Port. Mombasa Jubilee leader Shahbal final Agrees with Ali Joho over Naivasha Inland Port. The Mombasa Jubilee aspirant Suleiman Shahbal has agreed with the governor Hassan Joho over the Naivasha Inland Port that is set to be constructed at Naivasha. Shahbaal said that he will make sure that the port remains in the Coast whether the president like it or not. "The inland port will be constructed at Voi if there will be a need. As jubilee in Mombasa, we will not allow the inland port to be constructed in Naivasha. We have so many youths who are Jobless here and moving it to Naivasha will make the people in Mombasa discredit us for allowing such a nonsense act to happen." Said Shahbaal. This debate about the Mombasa Governor Hassan Joho opposing the project at Naivasha has brought so attention to so many people. The government decided to bring the issue of inland port following container congestions at the port. It is also known that goods are cheap in Nairobi than in Mombasa because of the clearance done upcountry. Goods are taken to Nairobi for clearance then back to Mombasa to be sold. This is what again the Mombasa Governor has been fighting for and called names.